Bail reform is based on the radical idea that locking up non-violent, low-risk people who have been arrested on minor charges is a very bad and very expensive thing to do. But let’s take a step back from that and note that lots of people get arrested for things they shouldn’t get arrested for. The analysis relies on the new racial profiling reports which came out March 1st, analyzing information for Texas police departments in cities with more than 50,000 people, and sheriffs in counties with more than 100,000. Here’s the table from Appendix One of the report with the underlying data. Readers will recall that new detail about Class-C arrests, use of force, and outcomes of searches were added to the report as part of the Sandra Bland Actpassed in 2017. But the provision to restrict Class C arrests was removed before the law was passed. So HB 2754 amounts to unfinished business for those concerned about what happened to Sandra Bland. Our findings: The practice of arresting drivers for Class C misdemeanors – not warrants, and not more serious offenses – is more widespread than portrayed by law enforcement. The 96 police and sheriffs in our sample arrested people nearly 23,000 times for Class-C misdemeanors last year, with the Texas Department of Public Safety accounting for nearly 5,000 more. These higher-than-previously-understood estimates are corroborated by Texas Appleseed’s recent analysis of jail bookings. Examining data from eleven (11) counties, they found more than 30,000 jail bookings where Class C misdemeanors (not warrants) were the highest charge. The difference between analyzing jail bookings and racial-profiling data is that jail bookings include Class C arrests which happened anywhere. The racial profiling reports Just Liberty analyzed only consider arrests made during traffic stops. The full report is here. It’s short, so go read it. How many people over the years do you think have spent time in the Harris County Jail because of a traffic stop? How many millions of your taxes do you think went to keeping them there? Greg Abbott does his thing. That’s several more than he vetoed following the last session and the most a governor has doled out since 2007. Abbott offered a number of common explanations for his vetoes, calling the bills unnecessary, too costly or too burdensome. He vetoed at least five bills for the same reason: The House bill’s author asked for a veto because he prefers the Senate companion. Another measure he vetoed Thursday was Senate Bill 790, which would have kept in operation an advisory group that makes recommendations to the state on its women’s health services. “Rather than prolong government committees beyond their expiration date, the state should focus on programs that address more clearly identifiable needs, like my call for action to address the maternal mortality rate during the special session,” Abbott said. Janet Realini, vice chair of the women’s health advisory committee, said wrapping up the group was premature. “There’s 1.8 million women who need publicly subsidized services, family planning in particular, and right now we’re serving less than a quarter of those, so I think we have a long way to go,” she said. You can see a full list of the vetoed bills at the story. A couple of bills relating to topics that will be on the special session agenda were among the casualties. SB790 was probably the bill whose rejection drew the strongest reaction; Sen. Borris Miles and Rep. Donna Howard vented their frustration, with Howard noting that “at no point during the past six months had the governor’s office expressed any concerns to me over the legislation”. We knew going in that Greg Abbott was a weak leader. Everything that isn’t on the veto list will be enacted (a few will become law without Abbott’s autograph), including the Sandra Bland Act and the driverless car bill. Click over and see if anything you liked got the ax. Senate Bill 1849 would mandate that county jails divert people with mental health and substance abuse issues toward treatment, make it easier for defendants with a mental illness or intellectual disability to receive a personal bond and require that independent law enforcement agencies investigate jail deaths. Senate Criminal Justice Committee Chairman John Whitmire struck several provisions from the original bill amid criticism from police groups that it would hamper law enforcement’s work, including adding extra steps to legally secure a consent search. Bland’s family expressed disappointment in the Senate version of the bill, calling it a missed opportunity because it removed language relevant to Bland’s stop. The bill’s sponsor, Rep. Garnet Coleman of Houston, and other lawmakers have said they understand the disappointment, but there will be other opportunities to address in legislation interactions with police. See here for the background. Sandra Bland’s family was not happy with the Senate changes to the bill, but it’s almost always better to pass something that can be built on later rather than pass nothing and hope to try again from scratch. It may take several sessions before anything else gets done, and nothing will happen without a big push, but this was progress and I’m glad it succeeded. A statement from Rep. Coleman is beneath the fold. Whitmire struck some provisions in the original version of the bill amid criticism that it would hamper law enforcement’s work, including requiring police officers to learn how to identify implicit bias. It also would have required counseling and training for officers who racially profiled drivers and prohibited what are called “pretext stops” — traffic stops for one offense that are used to investigate another. The House Homeland Security and Public Safety Committee took public input on Coleman’s bill last month but never voted on it amid a lack of support. See here for some background. The Observer spoke to Rep. Coleman about the Senate version of this bill. The bill that cleared the chamber Thursday no longer bans controversial pretext or “investigative” stops, which Coleman has likened the vehicular equivalent of “stop and frisk.” It also would require law enforcement to collect and review data regarding these stops to check for racial or ethnic disparities. These were the most disappointing sacrifices, Coleman said. Lawmakers also removed provisions preventing people from being incarcerated for Class C misdemeanors and ensuring that offenders without prior violent convictions be released on personal bonds, which require no up-front cash. These provisions, Coleman pointed out, have found homes in other bills that that are “still alive and moving,” such as Whitmire’s SB 1338, a bond-reform bill that cleared the Senate earlier this month. Coleman is looking to carry the measure across the finish line in the House and doesn’t expect much will be changed, he told the Observer Thursday. It’s not likely to clear his chamber with unanimous support — “that doesn’t happen over here,” he said. Coleman said he’s working to gather support from members and House leadership, whom he said seems receptive. “The issue has transcended politics, brought together people who used to be diametrically opposed,” Coleman said. “With this one, we really have to do something now. Yes, we do. Good work all around, let’d get this finished. The Chron has more. State Rep. Garnet Coleman, D-Houston, on Thursday filed House Bill 2702, dubbed the Sandra Bland Act. The exhaustive piece of legislation would expand what qualifies as racial and ethnic profiling; mandate people experiencing a mental health crisis and substance abuse be diverted to treatment over jail; and create more training and reporting requirements for county jails and law enforcement. The legislation is named in honor of Sandra Bland, a black, 28-year-old Illinois woman who was found dead in an apparent suicide in the Waller County Jail in 2015. Bland was pulled over in Prairie View on July 10, 2015, by then-Texas Department of Public Safety trooper Brian Encinia after she failed to signal a lane change. When Bland’s conversation with Encinia became heated, he arrested her on a charge of assaulting a public servant. She was found dead in her cell three days later. Bland shouldn’t have been arrested, Coleman said during a news conference to announce the bill’s filing. “It led to a death that didn’t have to occur,” said Coleman, who chairs the House County Affairs Committee. The Sandra Bland Act would make several changes to how Texas law enforcement officials and jailers interact with those they stop or detain. There’s more on the bill in the story, so go check it out. You know how I feel about this. Rep. Coleman has been working on this, which implements the reforms that were agreed to in the settlement of the lawsuit filed by bland’s family, for some time now. If anyone is going to get the details right, it’s Rep. Coleman. Let’s hope this gets a good reception. Grits has more. State Rep. Garnet Coleman is working to implement the reforms mandated by the Sandra Bland lawsuit settlement. House Democrats sparred with state law enforcement officials over questions of racial profiling Tuesday at a sometimes contentious hearing. It was the latest in a series of House County Affairs Committee hearings on policing in advance of the 2017 legislative session. Committee chair Garnet Coleman, a Houston Democrat and veteran lawmaker, has announced he plans to file the Sandra Bland Act, named for the Prairie View A&M University alum who died in the Waller County Jail after a traffic stop in 2015. Lawmakers heard testimony from the co-author of a 2015 University of North Carolina study on traffic stops that found that black drivers in Texas are 59 percent more likely than white drivers to be searched during Texas Department of Public Safety traffic stops. When state Representative Jonathan Stickland, R-Bedford, asked if researcher Frank Baumgartner was accusing DPS of racial profiling, Baumgartner responded cautiously. “There is a robust disparity between the likelihood that a white driver and a black driver will be searched even when you control for variables other than race,” he said. Lawmakers themselves were also reluctant to use the term “racial profiling” during the hearing, due in part to a Texas statute that offers a narrow legal definition of the term. [Last] Thursday, the Bland family’s lawyer announced that the family had settled a civil suit against Waller County for $1.9 million. The settlement also mandates a number of procedural reforms — an agreement Reed-Veal called “a victory for moms across the country.” The settlement, which hasn’t been finalized, would require that the Waller County Jail keep a medical professional on staff at all times and use electronic sensors to monitor jailers’ check-ins. The Sandra Bland Act, Coleman told the Observer, will expand the settlement’s reforms statewide and mandate additional changes, banning pretextual traffic stops (stops for minor infractions in order to investigate unrelated criminal activity), mandating access to health professionals in all jails, incentivizing the use of de-escalation tactics, and expanding access to personal recognizance bonds. See here for the background. McCraw is a longtime partisan hack who should not be trusted, but does need to be overcome. The good news here is that Waller County has approved the settlement. The bad news is that DPS appears to be playing dumb about the whole thing. A lawyer for the Bland family and DPS officials on Tuesday appeared to be at odds as to whether the settlement in that lawsuit — brought against Waller County, some county employees and former DPS trooper Brian Encinia — includes an agreement to institute additional statewide de-escalation training for all incoming troopers and those already on the roster. Testifying before the Texas House Committee in County Affairs, Tom Rhodes, the Bland family’s Texas-based attorney, told lawmakers that the settlement includes a $1.9 million payout, including $100,000 from DPS. While the department was not a party in the lawsuit, it agreed to pay that amount to indemnify Encinia, who arrested Bland in a July 10, 2015 traffic stop that quickly escalated to an arrest. As part of the settlement, DPS also agreed to set up the training, Rhodes said. But earlier in the day, DPS director Steve McCraw indicated the department already requires 76 hours of de-escalation training that’s embedded in its school for recruits. “I was told just the opposite which is one of the reasons we required that as part of the settlement,” Rhodes told lawmakers. Asked for clarification about McCraw’s comment, a DPS spokesman said DPS “has not settled litigation regarding Sandra Bland” and is not party to any agreements between her family and the Waller County defendants. “The department is looking at a number of options regarding the issues discussed today,” DPS spokesman Tom Vinger said, pointing out that the department earlier this year began requiring troopers to complete an eight-hour de-escalation course. Citing confidentiality restrictions, Rhodes said he couldn’t provide many details about the settlement discussions but he indicated he had reached a deal on the de-escalation training with DPS’ general counsel. Like I said, McCraw cannot be trusted. Someone at DPS with more integrity than him needs to get this worked out one and for all with the Bland family. I hope this brings them some peace, but more importantly I hope it leads to fewer inmate deaths, in Waller County and elsewhere. The family of Sandra Bland — who died last year in a Waller County Jail cell — has reached a settlement with Texas officials in a wrongful death lawsuit, a lawyer for the family said Thursday. Waller County and the Texas Department of Public Safety will pay the family a total of $1.9 million and the county has agreed to policy changes, according to attorney Cannon Lambert. The terms were finalized Wednesday, Lambert said. Waller County will pay the family $1.8 million. The Texas Department of Public Safety will pay the family $100,000. See here for all prior bogging on this. I too hope this is a beginning and not an end. “No more inmate deaths” is a goal we should have as a society, and while we’ll never get there, we should do all we can to get as close as we can. Grits for Breakfast, which goes into detail on the terms of the settlement, ThinkProgress, the Current, and the Press have more. The timing of this is tragically appropriate. With confident, and sometimes vulnerable, lyrics, a group of poets and singers Sunday afternoon commemorated the life of [Sandra] Bland, who had been found dead in her Waller County Jail cell three days after her arrest. Authorities ruled the 28-year-old’s death a suicide. More than 75 people assembled over two hours to honor the young woman whose name in the year since had become familiar in households across Texas and the nation, repeated by those in the Black Lives Matter movement as another example of an individual they believed needlessly died following an encounter with law enforcement. Bland’s name was joined last week by two more, Alton Sterling, who was shot to death by police last Tuesday in Baton Rouge, and Philando Castile, who was shot by an officer during a traffic stop in Minnesota on Wednesday. Then, too, a lone sniper attacked in Dallas, fatally shooting five police officers, and injuring seven others. Speakers remembering Bland sought to digest all of that. Hannah Bonner, a United Methodist clergy member who helped lead the event, asked everyone to turn and face the nearby brick gates of Prairie View A&M, representations of safety, education and progress, she said. They were also the gates Bland – who had recently returned to the city and her alma mater to take a job – had driven through when a state trooper “came up fast behind her,” Bonner said. The Bland case sparked calls for bail reform and brought issues of jail suicide and indigent defense into the headlines. Waller County Sheriff Glenn Smith, who is sitting for re-election in November, issued a citizen’s review of his office, as well. Released in April, the report recommended a new jail, body cameras for officers, medical and mental health screening for all inmates, stress management training for deputies and a ban on demeaning language directed at inmates. See here for more on the review report, and here for prior blogging on Sandra Bland. To the extent that reforms have been carried out in Waller County, it’s all to the good, but we need more of that everywhere in the state. 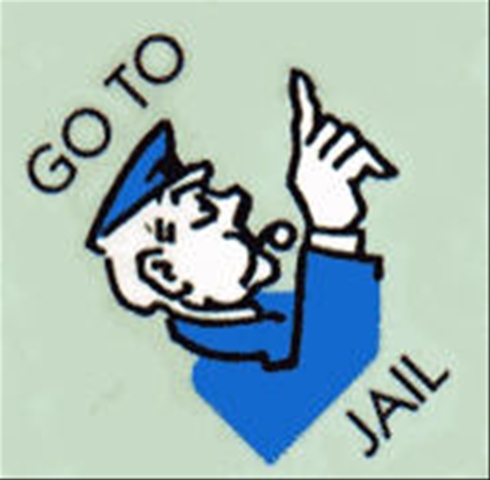 No one should be in jail simply because they cannot afford to post bond, and no one should be hauled off to jail for being mouthy at a traffic stop. We know what we can do to make things better. We just have to do them. The Lege has a chance to do that in 2017. I can’t say I have much faith, but they’ll be the only game in town. Be prepared to let your legislators know what you want them to do to achieve justice for all. A former Texas trooper pleaded not guilty to charges he lied about his actions last July while arresting Sandra Bland, whose death in Waller County’s jail three days later sparked a national outcry from civil rights activists. Dressed in a gray suit and tie and flanked by his attorneys, former Department of Public Safety Trooper Brian T. Encinia said little Tuesday afternoon during a minutes-long arraignment hearing before State District Judge Albert M. McCaig Jr. In an arrest affidavit, Encinia said he had ordered Bland out of the car to safely continue the investigation. A Waller County grand jury indicted Encinia in January of misdemeanor perjury based on that statement, according to a special prosecutor in the case. If convicted, Encinia could spend up to a year in jail and have to pay a $4,000 fine. Earlier this month, DPS Director Steve McCraw formally fired Encinia, saying he violated the department’s courtesy policy and procedures. Encinia is appealing the termination to the Texas Public Safety Commission. Separately, the trooper is named in a wide-ranging civil lawsuit filed by Bland’s family that alleges negligence and wrongful death. Attorneys representing Encinia in that case have asked – unsuccessfully – that it be delayed while his criminal trial plays out. The civil trial is set to begin next January. Bland’s mother, Geneva Reed-Veal, and older sister, Shante Needham, both appeared at the arraignment, along with their lawyer, Cannon Lambert. “To come all this way, I needed to do it,” said Bland’s mother after the hearing, as she embraced those who’d gathered in support of her and her family. See here and here for the background. The Trib quotes Encinia’s defense attorney blaming his indictment on a “runaway” grand jury. I dunno, I thought that video of the traffic stop made it quite clear that at the very least, Encinia was unprofessional and antagonistic. We can argue if his behavior qualifies as perjury, but let’s see what happens in the courtroom first. And let’s not overlook the fact, as Grits notes, a law enforcement officer being called to account at all like this is quite unusual. A conviction, if it comes to that, would be even more so. The Press has more. The unnecessary death of Sandra Bland in the Waller County Jail last summer has now put the reform of bail bonds in focus as a key criminal justice issue ahead of the next legislative session. Last month, a Waller County grand jury declined to indict those involved in [Sandra] Bland’s arrest and incarceration, either at the jail or in her widely publicized traffic stop near the Prairie View A&M University campus in July. The Department of Public Safety trooper who arrested Bland subsequently was fired after being indicted for perjury in connection with the traffic stop. Many put blame for Bland’s death on her inability to quickly find the $500 for her bond, extending her stay in the county jail into the following week, when she took her life. What Sen. John Whitmire, D-Houston, sees is a woman charged with a traffic stop who should have been in and out of the county jail within 18 hours of being booked. A “PR” bond is a personal recognizance bond, one that bypasses bail and relies on a defendant’s signature as a promise to return to face charges on a court date. It is usually offered to low-level non-violent offenders who do not pose a flight risk. In the case of Harris County, 60 percent of those in jail fall into that category, yet magistrates offer a fraction of defendants PR bonds as an option, Whitmire said. Such a decision can often be heartless for people who are living from paycheck to paycheck. The cost of bail ends up outweighing the price of the crime. More than half the people sitting in the Harris County Jail today are awaiting a trial, rather than completing a sentence, Whitmire said. The system would be better served if they were released in order to get back to work to pay court fines. We are well familiar with the problem. Obstacles to making this happen are the bail bond industry, and judges in places like Harris County that refuse to use Pretrial Services and set rational bonds. If the first obstacle can be overcome in the Legislature, the second one will be reduced in scope, which ought to make a big difference. If Sen. Whitmire says this will be a priority for him, you can be sure there will be some action on it. Grits has more. Six months after arresting Sandra Bland during a now-infamous traffic stop, state trooper Brian Encinia on Thursday returned to the Waller County jail where Bland died – this time to surrender to authorities on perjury charges. Encinia, 30, surrendered to Texas Rangers after a Waller County judge signed his arrest warrant, Sheriff R. Glenn Smith said. The Rangers took the trooper to the jail, where he arrived in a gray pickup at 3:26 p.m.
Encinia was fingerprinted, photographed and released on a $2,500 bond. “They just didn’t believe it,” Jordan said, referring to the grand jurors. Cannon Lambert, who is representing the family in a civil lawsuit, questioned why the grand jury had not agreed on harsher charges, such as battery or false arrest. Encinia’s lawyer, Larkin Eakin, said Thursday the trooper planned to plead not guilty. The grand jury, Eakin said, misinterpreted Encinia’s statement. “He is obviously upset but feels very much that he’s not guilty, that that particular phrase he used (in his affidavit) was proper,” he said. See here for the background. He will be pleading not guilty, while also appealing his termination from DPS. I don’t want to make too big a deal about it because the respectful way that Trooper Encinia was treated during his arrest and arraignment should be the default and not the exception, but the contrast between how he was treated and how Sandra Bland was treated couldn’t be more stark. As for the matter of whether the charge against Encinia represents some kind of justice or not, I’ll simply note that such a question is predicate on whether or not he gets convicted. As commenter Steve Houston notes, there is considerable doubt about that. Texas Monthly has more. The charge against Encinia stems from the trooper’s statement at the time of her arrest on July 10 about why he felt he needed to pull her out of her own vehicle, Jordan told The Texas Tribune. “The statement in the probable cause statement is that Officer Encinia pulled her out of her car to further the traffic stop investigation,” Jordan said. As a result of the indictment – the only one issued by the grand jury in the Bland case – a warrant will be issued for Encinia’s arrest. It was not immediately known whether Encinia will turn himself into authorities. If convicted of the charge, Encinia could face up to a year in the Waller County Jail and a $4,000 fine. The grand jury had previously declined to indict anyone, including county jail employees, in the death of Sandra Bland, then reconvened on Wednesday to continue considering charges. I have no idea what the evidence looks like right now, but it’s not too hard to imagine the possibility of the trooper fudging his facts. We will have to wait to see what the prosecution’s case looks like, and to see how Officer Encinia responds. The Chron, the Press, which has a copy of Officer Encinia’s sworn statement, Newsdesk, ThinkProgress, and Daily Kos have more. UPDATE: More from Grits for Breakfast. 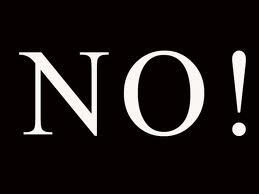 The expected response by the defendants. The Texas Department of Public Safety and Trooper Brian Encinia filed motions Tuesday to dismiss a wrongful death lawsuit in the death of Sandra Bland, five days after Waller County filed court papers rebutting claims that it was responsible for her death in the county jail. DPS claimed immunity under the 11th amendment of the U.S. Constitution, which limits the ability of the federal court system to hear lawsuits against states, according to court filings. Encinia, the DPS trooper who pulled Bland over for not signaling a lane change and then arrested her after an altercation, also claimed immunity under different rules protecting the government from lawsuits. Encinia, who is still on administrative duty, also asserted that the plaintiff, Bland’s mother, needs to point out which specific constitutional rights he violated during Bland’s traffic stop. The county’s motion also supports severing the state defendants – DPS and Encinia – from the county defendants and trying both cases separately. See here for the background. A copy of the DPS motion is at the Chron link above. I don’t know anything about the relevant case law, but a blanket immunity claim strikes me as too broad. I’m not sure why a lawsuit like this would not be allowed to proceed, but we’ll see what the courts have to say. 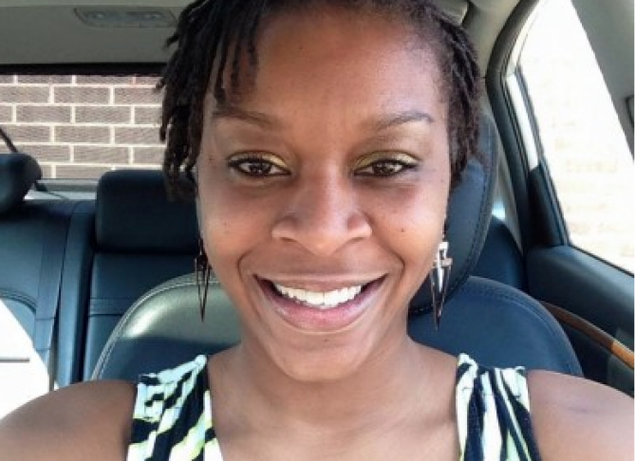 Will Sandra Bland’s death help lead to bail reform? That would be a fitting and just outcome if it does. Harris County and the state should reform an unfair bond system that punishes the poor more harshly, according to civil rights leaders, legislative officials and criminal experts who gathered Wednesday in front of the county’s criminal justice center. Reform, they argued, could prevent another tragedy like that involving Sandra Bland, who was found dead in her Waller County jail cell in July after failing to make bail. Advocates familiar with the bail process and statutes like the Fair Defense Act said it never should have come to that. His coalition reflects more than 25 organizations across the area. He was joined Wednesday by experts like law professor Sandra Guerra Thomspon, director of the University of Houston Law Center’s Criminal Justice Institute, who said the need for bail reform is a national concern but is especially needed in Houston. In Texas, defendants are supposed to have the added protection of the Fair Defense Act passed in 2001. The act, authored by [Sen. Rodney] Ellis, addresses issues like indigent defense and the timely appointment of counsel. But it also contains language about when a defendant should be granted representation. According to some, that right extends to the bond hearing itself, though this is rarely ever the case. Hargrave said in her more than 20 years of working in Waller County, an individual never had a defense lawyer present during the bond hearing. Advocates also question what they see as the low rate of personal bonds granted to individuals. If an individual is granted a personal bond, he or she is released on the promise to appear in court. Only 7 percent of bonds issued in Harris County are personal bonds, according to Randall Kallinen, a lawyer and the former head of the Houston chapter of the American Civil Liberties Union. With so few personal bonds issued, said Kallinen, “the person who has the money gets out.” In other words, “the Harris County jail is housing poor people,” he said. I’ve written about this topic a number of times, usually in the context of jail overcrowding, but Sandra Bland’s death is a tragic reminder of another aspect of people not being able to post bail: A significant number of people die in jail every year. Grits puts a number to it: “183 have died in Sheriffs’ custody since January 2014, including 80 so far in 2015, a statistic which includes Sandra Bland and appears on pace to exceed last year’s number.” There are many different reasons why these deaths happen, and unfortunately the data we have doesn’t go into much detail about them, but the point is that some number of those people shouldn’t have been in jail at all, and wouldn’t have been there if they could have posted bail. This is not acceptable. On a related note, the Texas Senate has convened a committee to study jail safety standards, which was another issue in Sandra Bland’s death. This is commendable, and I hope it produces some action items for the next Legislature, but 1) any such legislation is two years away from being enacted; 2) there’s no guarantee anything ever gets passed, and; 3) fixing how bail is set is something that can be done right now. Kudos to the Senate for addressing this, but let’s not lose sight of what’s right in front of us. More from Grits here. Can’t say this is a surprise. The mother of Sandra Bland filed a federal lawsuit Tuesday against the Texas Department of Public Safety trooper and several others she deems responsible for the death of her 28-year-old daughter at the Waller County Jail in mid-July. Geneva Reed-Veal is seeking a jury trial and unspecified monetary damages in her wrongful death suit against DPS trooper Brian Encinia; Waller County jail screening officers Elsa Magnus and Oscar Prudente; Waller County; and the DPS. “What happened to Sandy Bland?” Reed-Veal told members of the press, asking the question she hopes the lawsuit can answer and echoing a hashtag that has gained traction on social media: #WhatHappenedtoSandraBland. Reed-Veal rubbed the back of her daughter Sharon Cooper as she explained that although the family still hasn’t seen enough evidence to convince them that Bland’s death was a suicide, they are prepared to accept whatever the truth turns out to be. Cooper emphasized that whatever the cause, Bland should not have died in jail. “What remains constant is that she should not have been there in the first place,” Cooper said. In addition, the lawsuit accuses Magnus and Prudente, screening officers at the Waller County Jail, for inadequately monitoring Bland and failing to provide proper medical care when she was found injured in her cell. Waller County deserves blame, according to the lawsuit, for not providing sufficient training to jail staff for handling inmates “who are mentally disabled and/or potentially suicidal.” The suit also said the jail failed to have a procedure for jailers to make face-to-face observations of all inmates at least once every hour. You can see a copy of the lawsuit at the link above. As you know, I agree completely with Ms. Cooper about Sandra Bland not belonging in jail. We can’t undo what happened to Sandra Bland, but we can sure do everything we can to find out how and why it happened, and to make sure it never happens again. The Trib and the Current have more. That’s only part of this tragic story. Waller County prosecutors said Thursday that a preliminary autopsy found that Sandra Bland committed suicide, but they pledged to continue investigating the circumstances surrounding her controversial arrest by a state trooper as well as her death in a county jail cell. Prosecutors also confirmed that a screening test had revealed marijuana in the system of the 28-year-old Bland at the time of her death on July 13, and a catalogue of injuries that included some 30 healing cuts on her forearm that may have been self-inflicted two to four weeks before she died. But Diepraam repeatedly stressed that none of the injuries found on Bland’s body was consistent with a struggle. Some relatives have disputed the notion that Bland committed suicide, a death that occurred against the backdrop of a growing national movement to end police violence against African-Americans. “At this particular time, I have not seen any evidence that indicates this was a homicide,” Diepraam said. After the district attorney’s office released details from the autopsy report, the sheriff’s office in the rural county west of Houston released its own statement, which said that Bland had never been placed on suicide watch. The sheriff’s office on Wednesday released intake forms showing that Bland had told police after her arrest that she had attempted suicide in 2014 with pills following a miscarriage and that she had previously struggled with depression. You can find a copy of the autopsy report here. Sandra Bland’s family is pursuing its own postmortem, and we’ll see what comes of that. Whatever the case, let’s be clear about a few things. Sandra Bland should never have been in jail in the first place. As the video of Sandra Bland’s arrest makes its way into homes and offices around the country, people are aghast that the failure to use a turn signal led to a woman’s arrest and, ultimately, her death by what officials have identified as suicide. People want to know if the officer’s actions—asking that Bland put out her cigarette and demanding that she step out of her car—were legal. But that’s the wrong question. Instead, we should be asking whether it was good policing. As a former police officer, and now as a legal scholar who studies policing, I know the law is not a moral compass. An officer’s actions can be entirely lawful, and yet fail to meet the high standards that we should expect from our law enforcement professionals, our community guardians. When we focus on whether the police acted lawfully, we are missing the chance to ask whether they acted appropriately. As I watch the dash camera video of the traffic stop, I can’t help but think of the distinction between lawful policing and rightful policing. It is right here that Encinia has an opportunity to alleviate some of the tension of the encounter. He could, for example, thank her for moving out of the way, but explain how important signaling is, especially near an intersection. He could let her know that he has written her a warning, not a ticket (a fact that does not become clear until much later in the encounter). He could try to connect with her on a personal level, perhaps by telling her that he’d hate to welcome her to Texas with a traffic ticket. In short, he has a chance to engage with Bland in a way that reduces antagonism and builds goodwill. It isn’t hard, and can be summed up in three words: Receive, respect, respond. Receive what someone is telling you, respect their position, and respond appropriately. But he doesn’t. Instead, Encinia is silent. A couple of seconds pass. Then he says, “Are you done?” Those three short words send a powerful signal: “What you said does not matter.” This is the first failure in this encounter. It is not a legal failure—there is no law that requires officers to meaningfully engage with people—but it is a failure nonetheless. It is a missed opportunity for good policing. As you know, I agree with that assessment. But let’s say you think the officer’s conduct was acceptable and the arrest was justified. In that case, Sandra Bland should not have been in jail for as long as she was. The reason Sandra Bland was still in jail three days after being arrested was that she hadn’t posted the $5,000 bond that had been set for her by a Waller County, Texas judge. Posting that bond would have required Bland to come up with $500—10 percent of the full sum—in exchange for her freedom. According to a lawyer for the Bland family, they were working on securing the necessary funds when Bland was found dead in her cell on the morning of July 13. If Bland had been able to pay her bail on the spot, she would have been released immediately following her arraignment, which took place on Saturday, July 11, the day after she was pulled over on a traffic violation and detained for allegedly assaulting a police officer. A representative for the Waller County Sheriff’s Office told me they could have processed Bland’s bail at any time Saturday or Sunday. The point of bail is to make sure that someone who has been accused of a crime appears in court when the time comes for a judge to hear her case. The money acts as an insurance policy for the judicial system: If you show up for your court date, the money is returned to you. If you don’t appear, you have to pay the court the full amount of your bond. How much you’re required to pay in bail up front is supposed to be based on whether a judge or a magistrate considers a defendant a flight risk, and whether he believes the defendant to be dangerous. That’s a problem in a lot of jails, including and especially Harris County, where we continue to tolerate judges who lock up scads of people who haven’t been convicted of anything and aren’t a danger to anyone. It’s a nationwide problem, which we’re just beginning to talk about. But suppose you think that $5K was a reasonable bail for the charge in question. In that case, we come back to the failure of oversight at the jail, which is a problem not just for Waller County. Had Bland’s jailers followed through on mental health training and complied with minimum state standards for inmate monitoring — including checking on her at least once an hour — they might have been better prepared to prevent her apparent suicide, mental heath advocates and criminal justice experts said. But they said the lack of sufficient mental health training for jail staff is widespread in Texas. With an annual budget of about $1 million, the watchdog agency that sets standards for the state’s disparate network of 244 county and private jails employs four people to inspect those local lockups each year, and one inspector to respond to inmate complaints. The agency is chronically underfunded and understaffed, experts say, meaning citations for jails found out of compliance often come only after a tragedy. The great irony here is that Texas is actually exceptional for having such a commission in the first place – most states don’t. It just doesn’t have the resources it needs to do the job, and as we’ve already discussed, that job is made harder by the presence of so many people who shouldn’t be in jail in the first place. The system failed Sandra Bland in a lot of ways, and I haven’t even touched on any of the racial aspects of her case. I’ll leave you to find writers who are smarter and better informed than I am to tackle that subject, which deserves all the attention it’s getting. There are many things we must do to prevent future tragedies like Sandra Bland’s and ensure that we live up to our own ideals about everyone being equal. I’m just highlighting a few of the obvious ones. “Are you done?” the trooper said. “You asked me what was wrong and I told you,” Bland said. “I don’t have to,” Bland said. “You do not have the right to do that,” Bland says. “I do have the right, now step out or I will remove you,” the officer says. “I’m gonna yank you out of here,” the officer said, while leaning over and reaching into the car. “Don’t touch me! I’m not under arrest,” Bland says. “You are under arrest,” the officer says. There’s a pause. The officer does not answer. Bland walks out of the car and around the back, as directed by the officer. The rest takes place off camera, though you can hear what’s going on. Unbelievable. And completely unacceptable. Even more, as the Trib reports, what can be seen contradicts the officer’s account of what happened. I don’t know what happened to Sandra Bland – we may never know for sure – but the one thing I do know is that Sandra Bland should never have been in jail in the first place. That is the root cause of what happened. And it’s as clear an illustration of what the #BlackLivesMatter protesters have been talking about all along as one could see. This is what needs to be fixed. Daily Kos has more. UPDATE: Lisa Falkenberg has more. Doesn’t mean that’s how it will be ruled, but it’s at least a sign that it’s being taken with appropriate seriousness. The probe into Sandra Bland’s hanging death inside a Texas jail — which a medical examiner ruled a suicide last week — now includes the possibility of murder. “This is being treated like a murder investigation,” Elton Mathis, Waller County’s district attorney, said at a press conference Monday. Mathis said he made the determination after talking to Bland’s family and to those who saw her last, including the bail bondsman, who was among the last to hear from her alive. While the Harris County medical examiner ruled her death consistent with a suicide, Mathis said it is now being treated as a murder. “There are too many questions that need to be resolved. Ms. Bland’s family does make valid points. She did have a lot of things going on in her life for good,” Mathis said. The district attorney also said the dashboard video of the traffic stop in Prairie View that was retrieved from Encinia’s patrol car would be released on Tuesday. After viewing the video, Mathis said Bland was not “compliant” with the officer’s directions. “Sandra Bland was very combative. It was not a model traffic stop. It was not a model person that was stopped,” Mathis said. See here for some background. I am sure that dashcam video will be all over social media later today. The Chron story provides a different assessment of its contents. Mathis said he has requested scientific testing from the jail, including touch DNA evidence on the plastic trash bag that medical examiners in Harris County said Bland used to kill herself. Mathis outlined some of the details of his investigation at a news conference Monday afternoon, hours after a separate news conference, where advocates for Bland raised questions into her death. Advocates representing Bland’s relatives also said dash cam footage of her traffic stop in Prairie View contradicted information provided by the Texas Department of Public Safety. The family also called for the Department of Justice to investigate the circumstances of her arrest on July 10 and death three days later in the Waller County Jail, which officials have ruled a suicide. “We know we’re standing at a crime scene,” said Jamal Bryant, an advocate for Bland’s relatives, outside the jail. At a news conference, Bryant, a pastor at the Empowerment Temple AME Church in Baltimore, said the footage, which had been shown to Bland’s relatives and their lawyer, but which has not yet been released publicly, showed the DPS trooper stopping her, walking to her car, and then speaking to her while she smoked a cigarette. The trooper, 30-year-old Brian Encinia, told her to put it out, and she refused, Bryant said. Bland began videotaping the stop with her cell phone, which enraged the trooper, Bryant said. “You can’t see at any point where Bland attacks the officer,” Bryant said. DPS officials have said that during the stop, Bland became “uncooperative” and kicked the officer. She was arrested and charged with assault of a public servant. Cannon Lambert, a Chicago-based attorney representing the family, said Sunday on a Washington D.C. radio show that Encinia tried to pull Bland from the car when she reached for her cell phone. When that didn’t work, he pulled out a TASER and pointed it at her, and she voluntarily got out of the car, he said. The dash cam did not record the entire encounter between the trooper and Bland. I hope it’s enough to settle the arguments, but I suspect it will intensify them instead. We’ll see what it has to tell us.